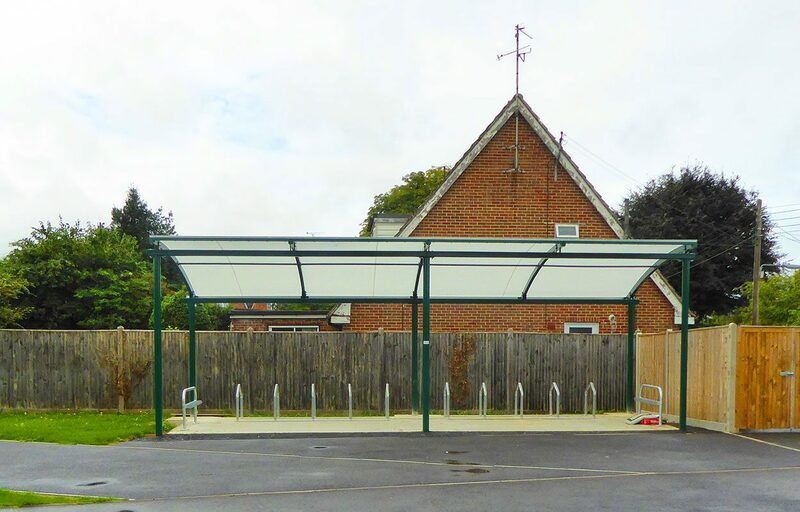 Fordingbridge were approached by Upper Beeding School to increase the size and modernise the design of their bike shelter to accommodate more bicycles. There was also the requirement for scooter parking too, which was an added feature. 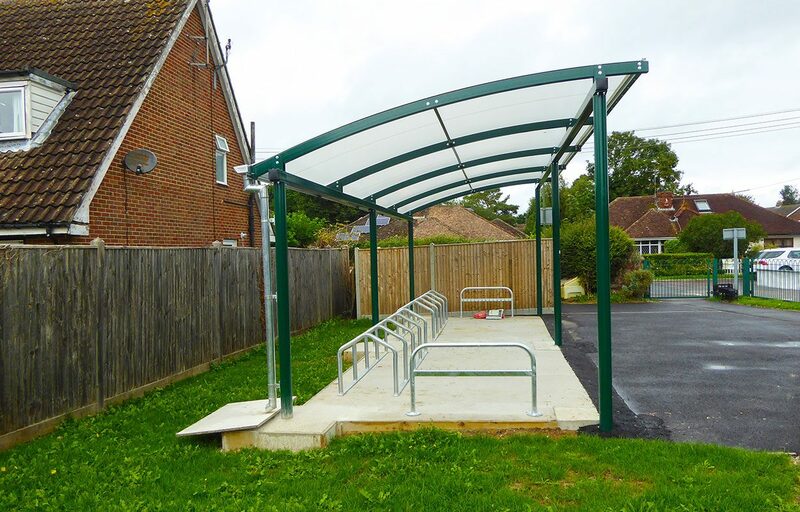 A specially designed rack with hooks to hold the scooter in place have been positioned at the gable ends of the structure. Installed in just two days, it causes minimum disruption on a live site. 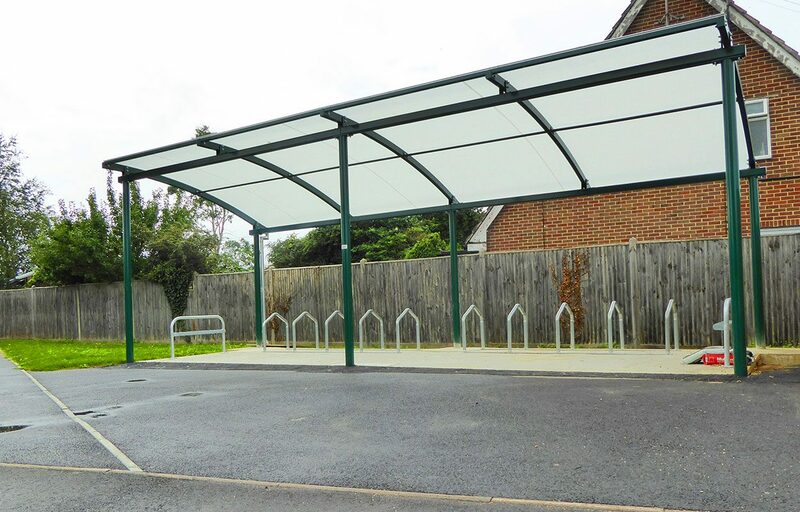 The contemporary and minimalistic design maximises space underneath while ensuring the safe storage of bikes. 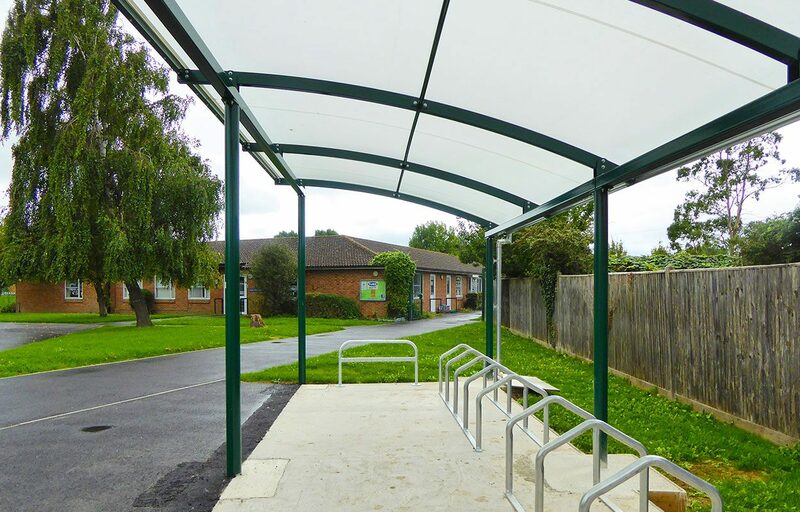 The PPC mild steel frame is clad using Opal60, which are perfect for the longevity of the structure.